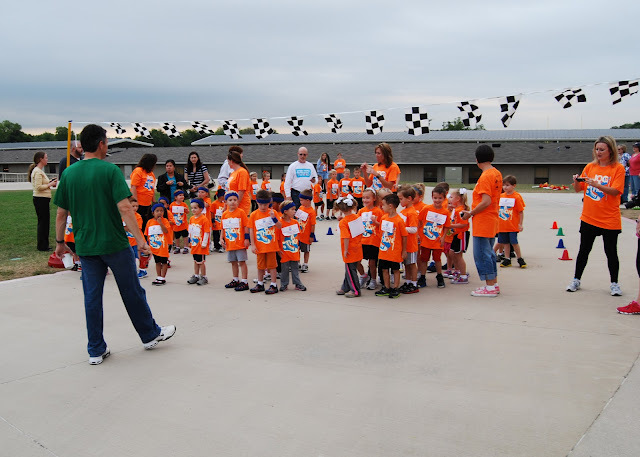 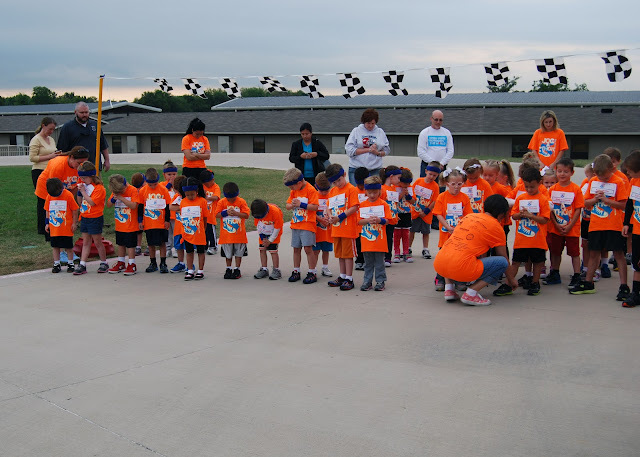 Before they got out to the "track", the kids walked down the deck and the older elementary kids all came out of their classrooms to cheer for the younger kids and give them high fives. 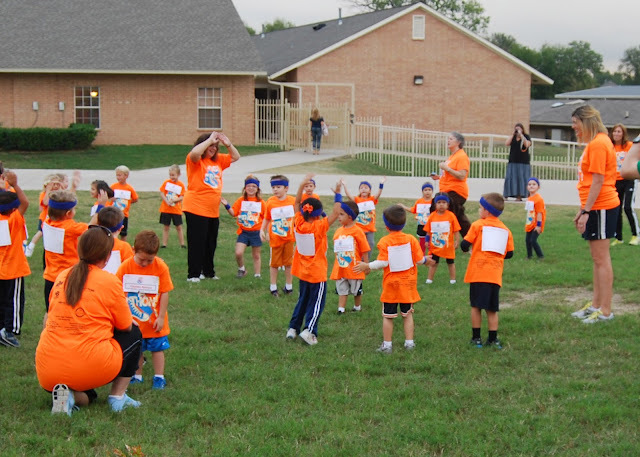 They had pretend torches and they did cheers and it was ADORABLE!!! 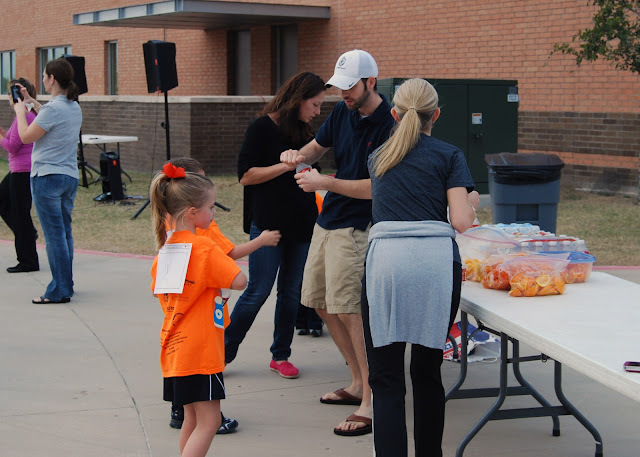 Dave volunteered to pass out water and he brought Mason with him, I was able to get one of my awesome co-workers to watch my class so I could watch and Haha came to cheer as well. 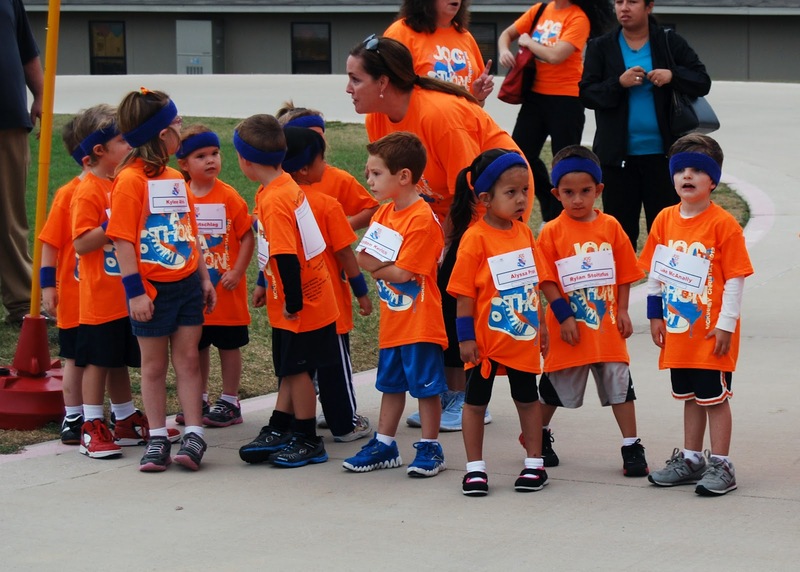 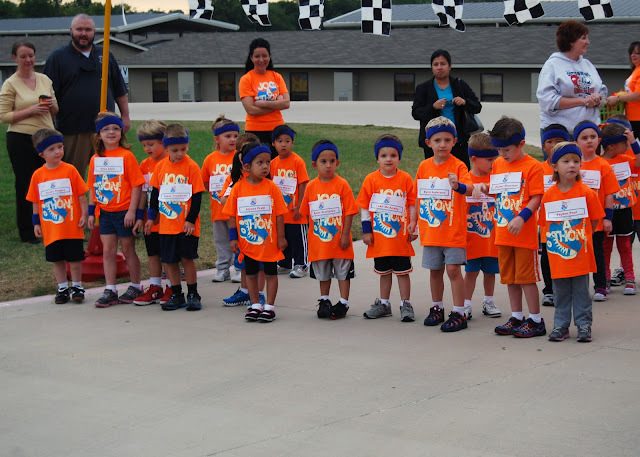 The Pre-K kids all got sweatbands - so cute!!! 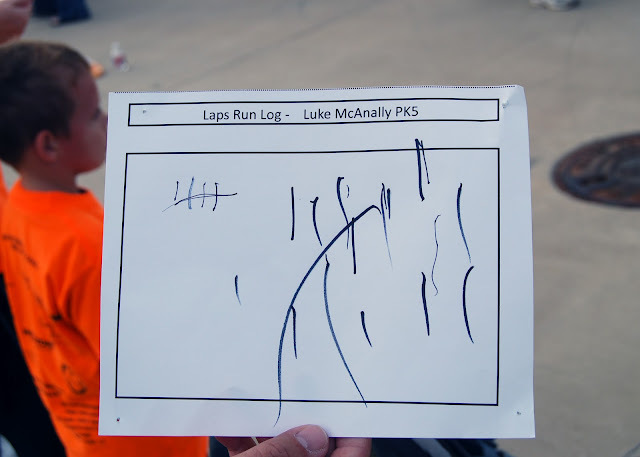 The kids had 30 minutes to run and we anticipated Luke running 7 or 8 laps... he ended up blowing us all away and running TWENTY THREE!!! 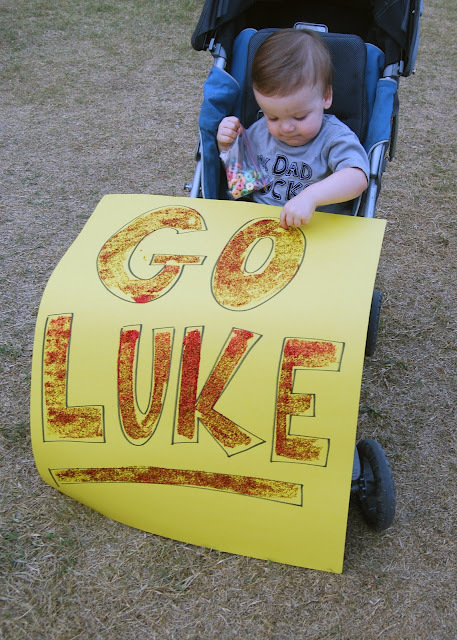 Big thanks to everyone who sponsored Luke and supported MCA (especially Uncle Mark... since he was a per lap donor). 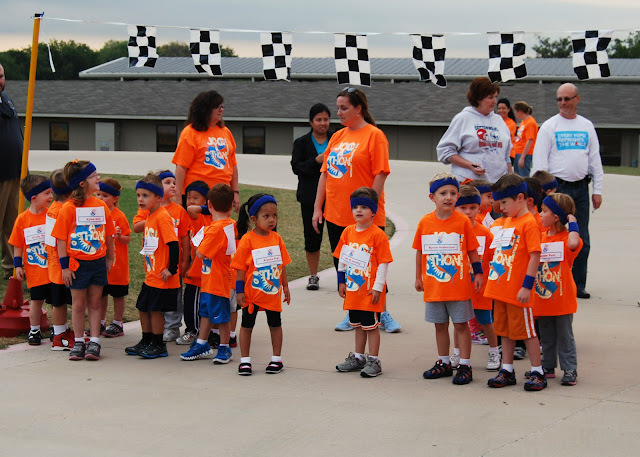 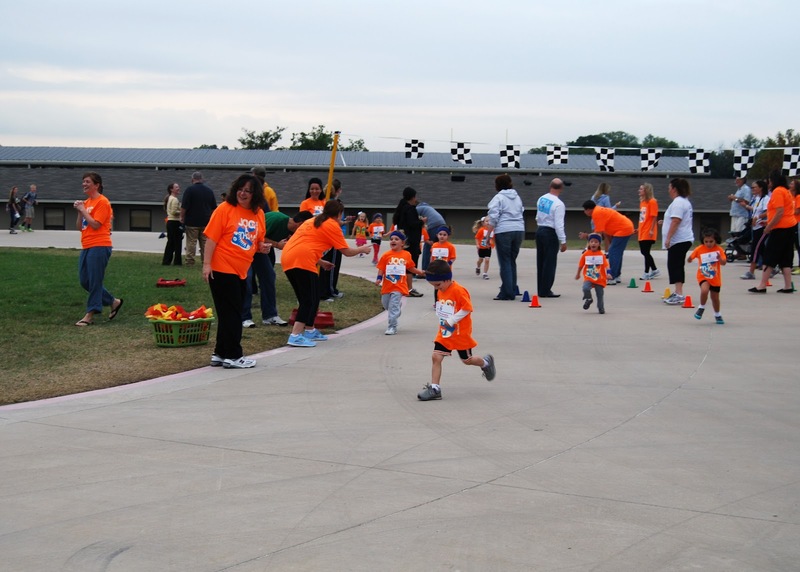 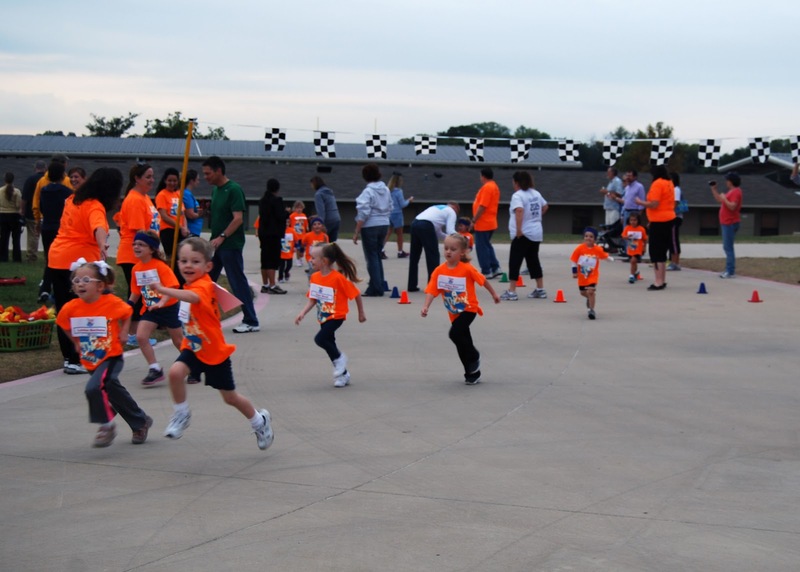 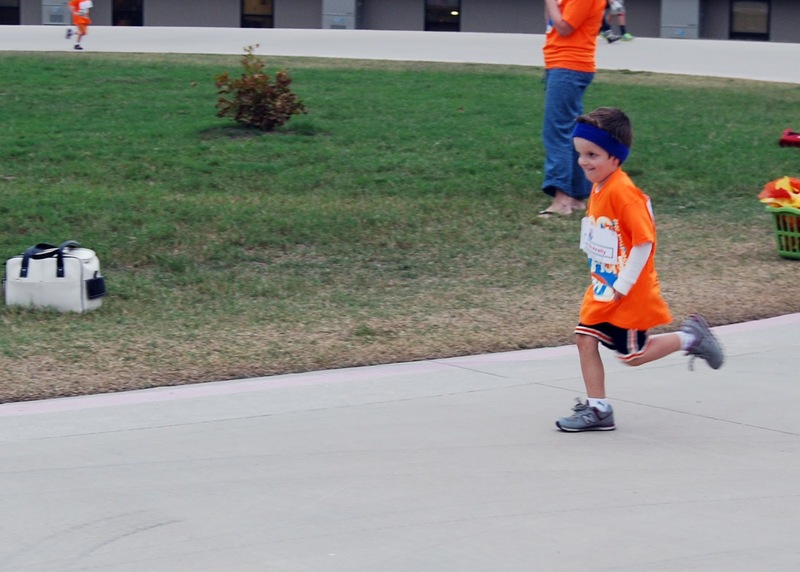 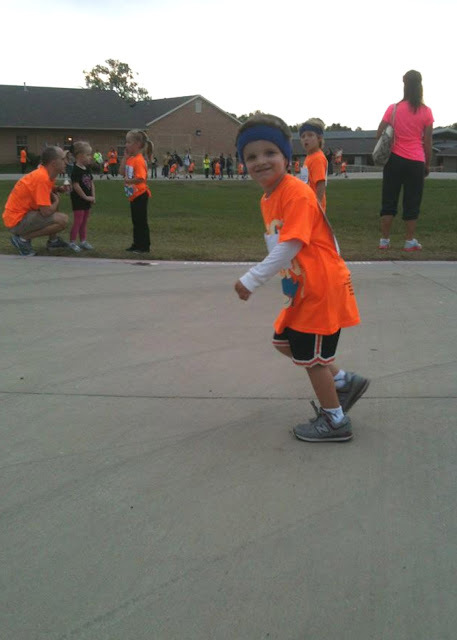 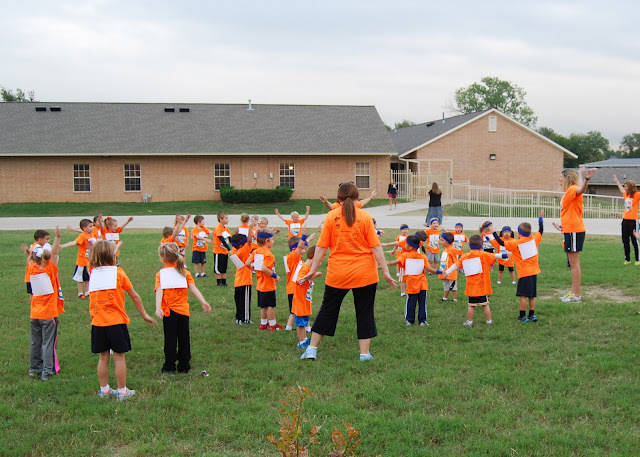 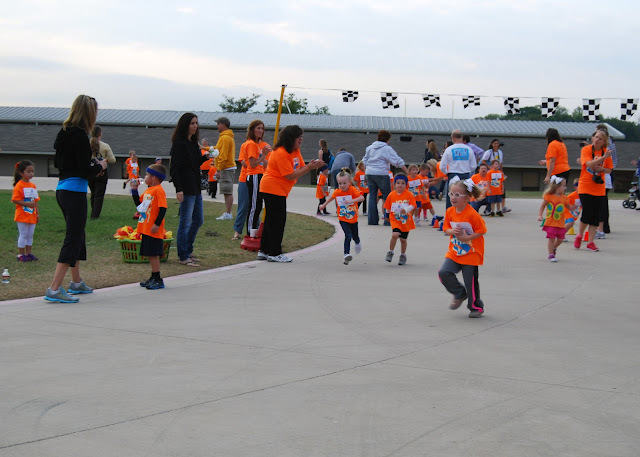 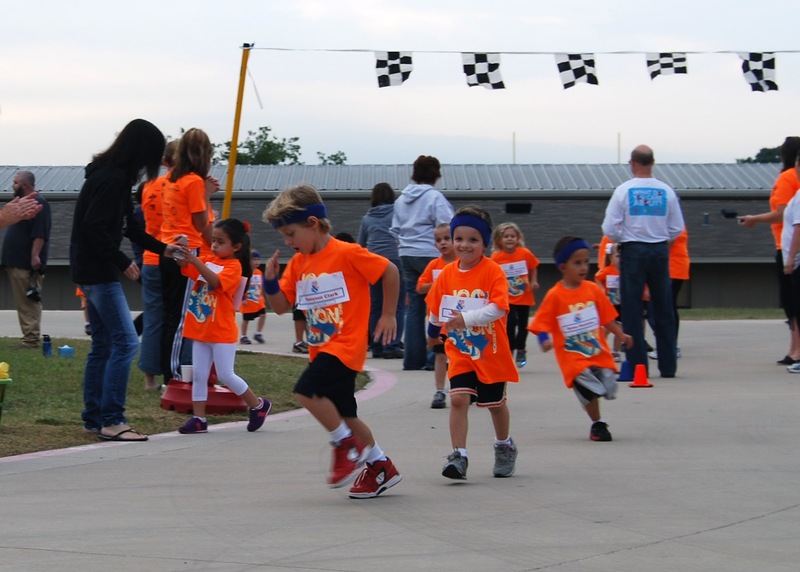 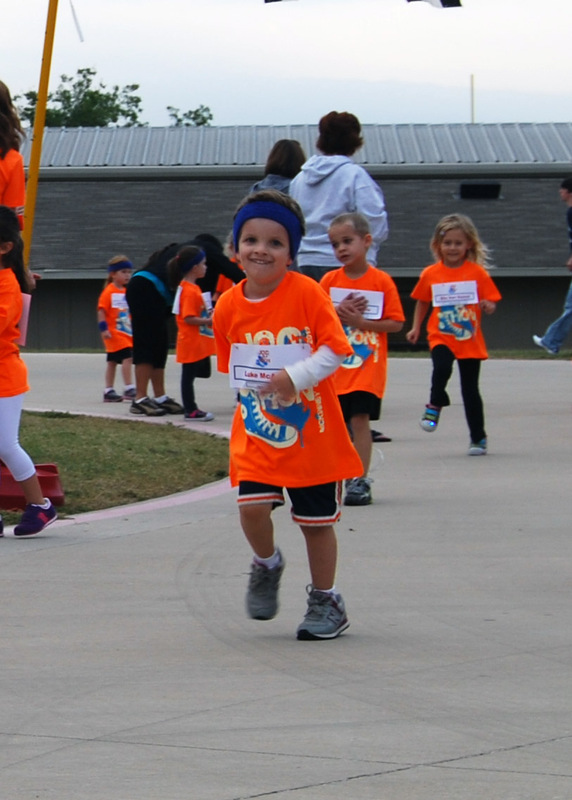 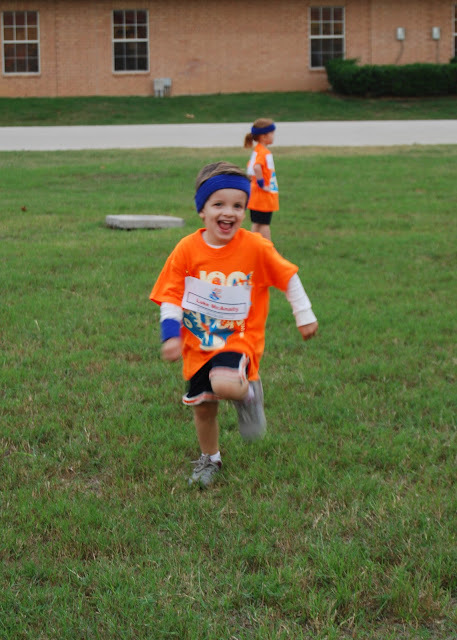 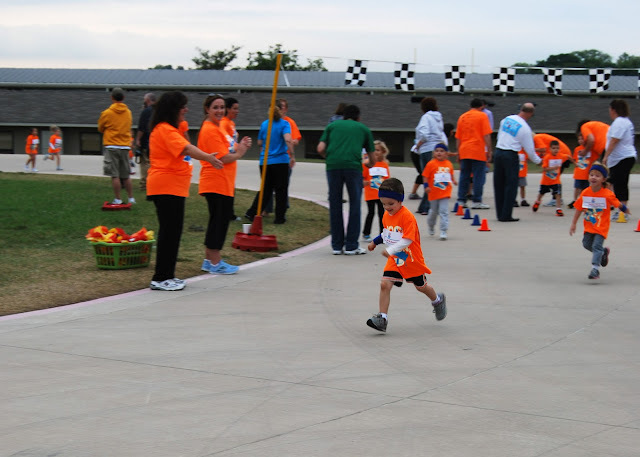 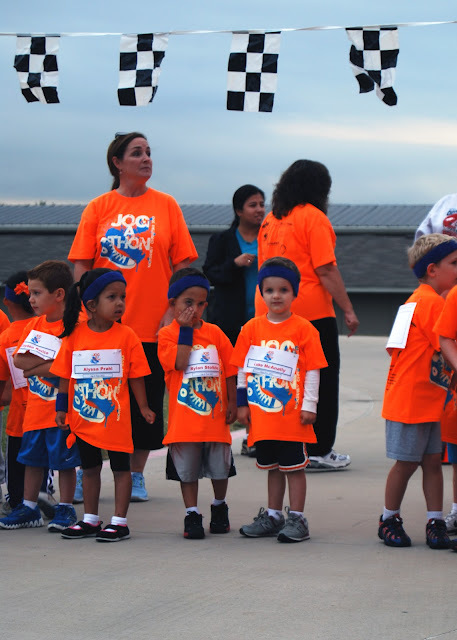 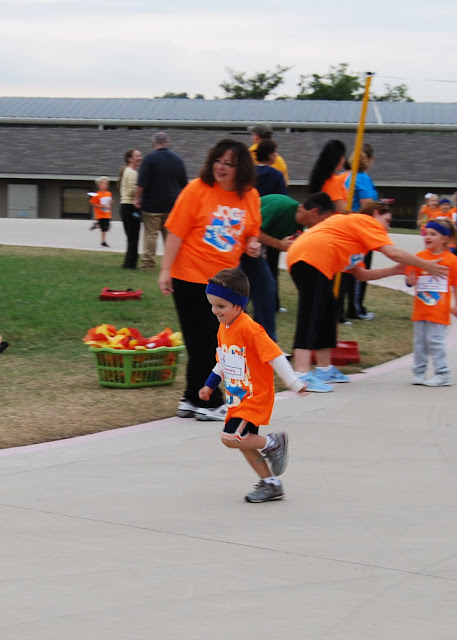 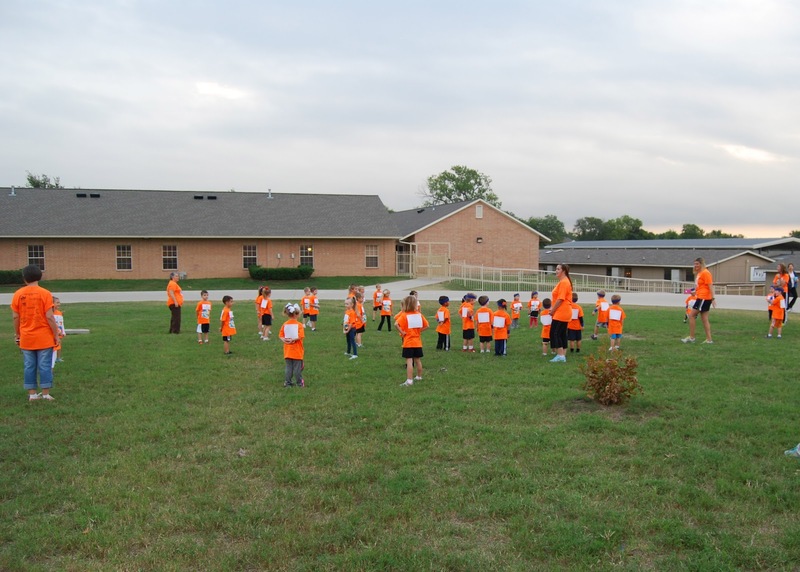 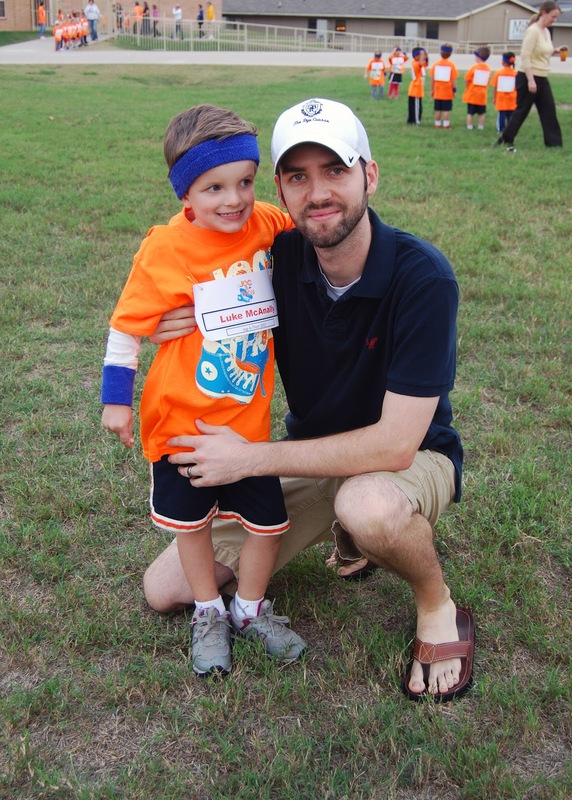 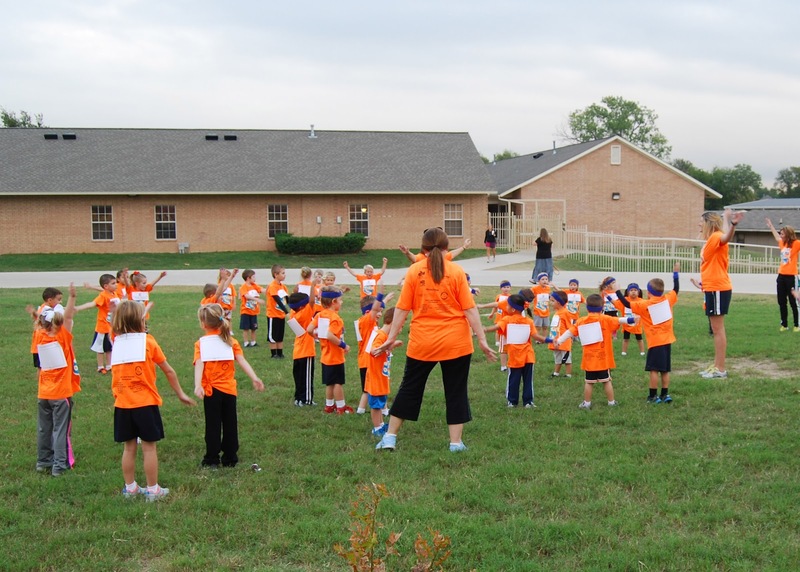 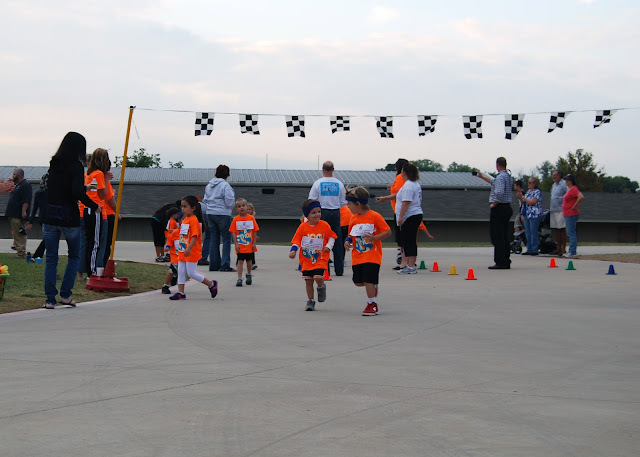 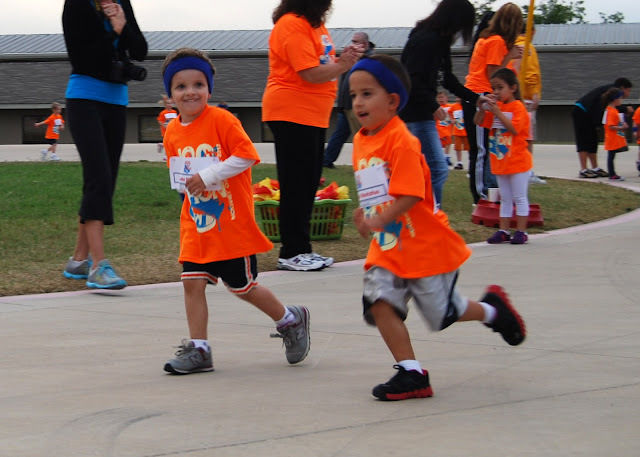 His first Jog-A-Thon was a FANTASTIC experience... we can't wait until next year! Wow! 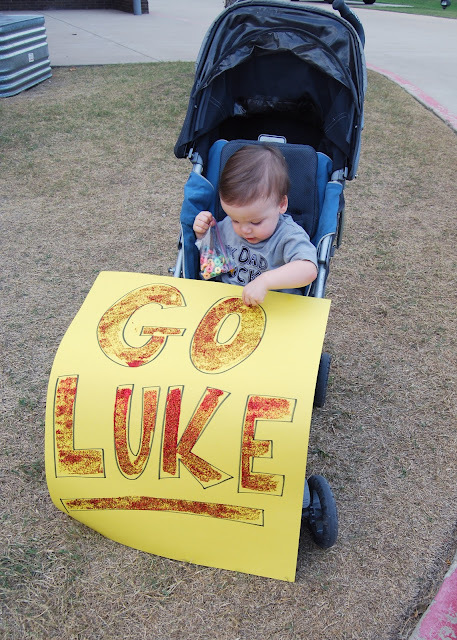 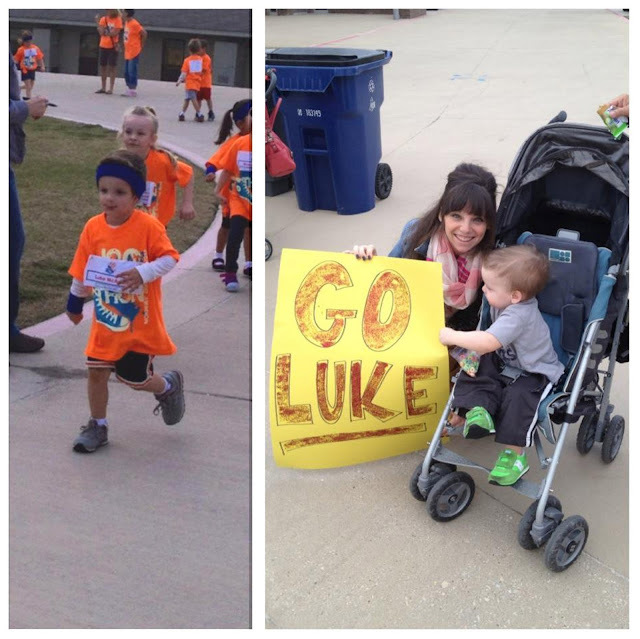 Go Luke! 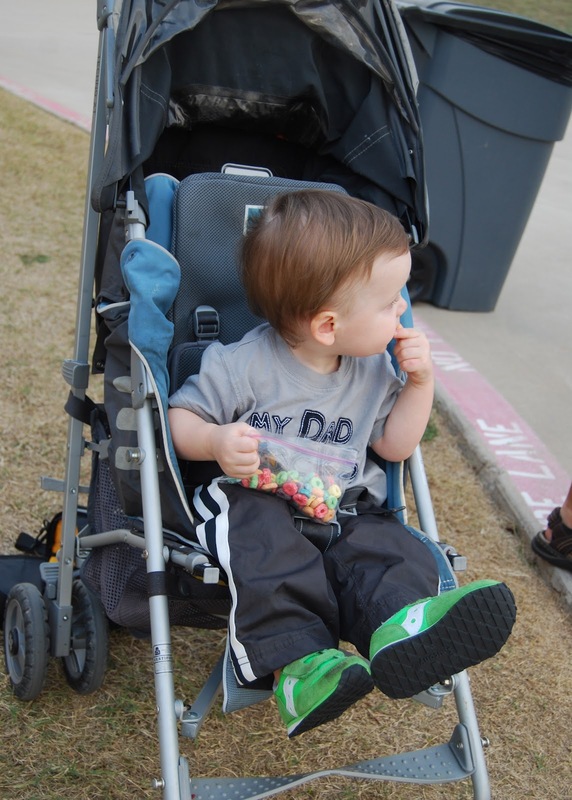 I think he looks like Mark in these pictures!